This is the frightening moment a three-meter Great White started trailing a surfer back to shore, just two weeks before another man lost his arm and hand in a nearby shark attack. 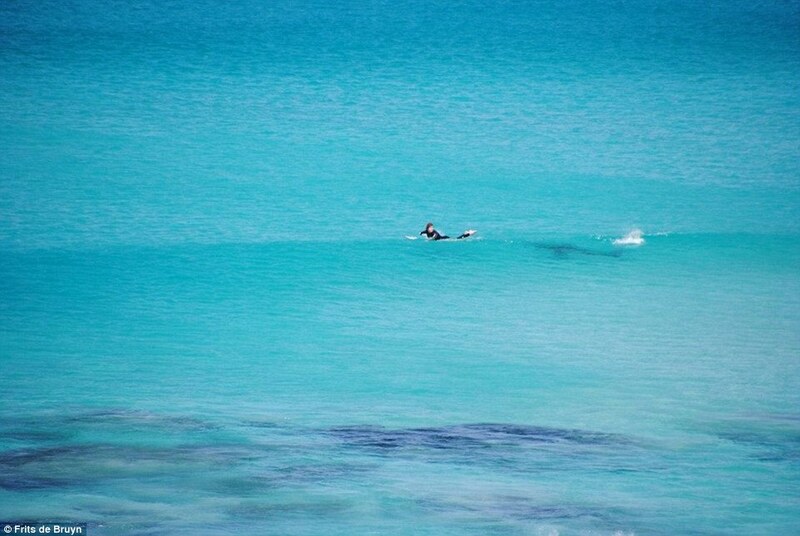 Andy Johnston was out with a small group of surfers at West Beach near Esperance, south-east of Perth, on September 21 when people ashore spotted the dark shadow looming. Other surfers managed to clear the water onto a reef after people started to honk their car horns to warn of the approaching shark, but Mr Johnston opted to stay put. ‘I’d rather try to hold my ground against it and not freak out and make a commotion,’ he told the Esperance Express following his close encounter. The photos showing just how close Mr Johnston came only emerged on Thursday – a month after his close encounter. Frits De Bruyn, who was on holiday in Western Australia at the time, was standing at a nearby lookout and managed to capture the drama. ‘We were at a lookout and we saw a shadow in the water. It became evident it was shark and everyone started shouting. 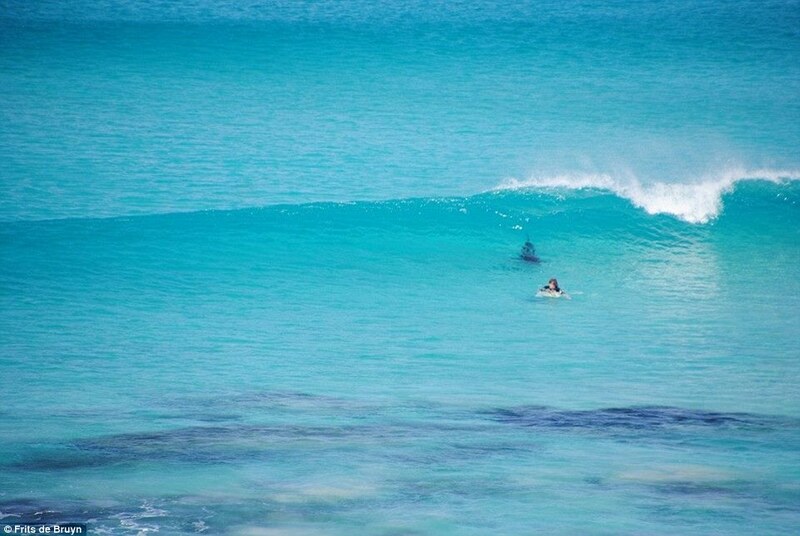 There was about a dozen surfers and paddle boarders in the water,’ Mr De Bruyn told Daily Mail Australia. ‘He followed him to shore for a bit… he was only a body-length behind him.